Look at the 128-core brain on Jetson! Machine learning is coming to the masses, and those hordes of DIY drones and robots are about to get a whole lot smarter. 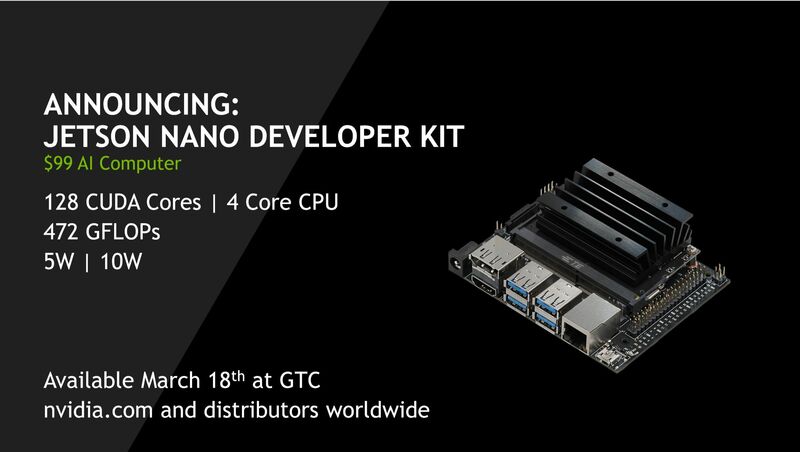 On Monday at Nvidia’s GTC conference, the company plans to reveal the $99 Jetson Nano Developer Kit. 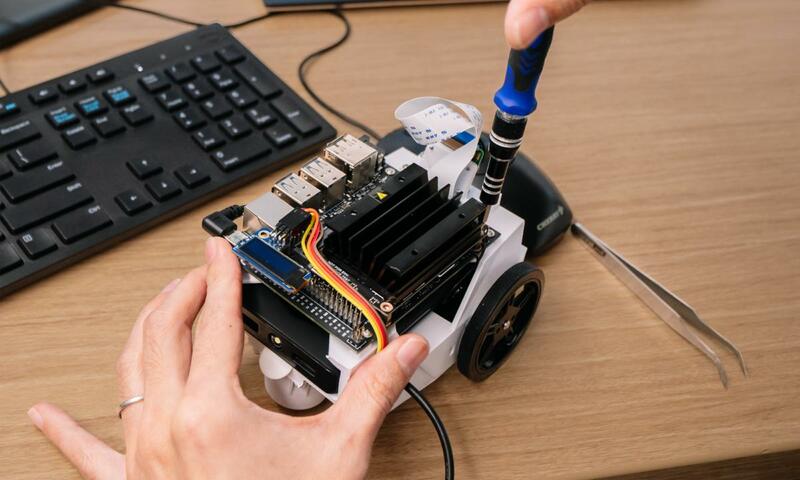 The kit is an expansion of the company’s “Jetson” embedded graphics platform, and it aims to infuse your wildest maker projects with AI that the Raspberry Pi could only dream of. It’ll be available immediately online, through distributors, and at GTC itself. 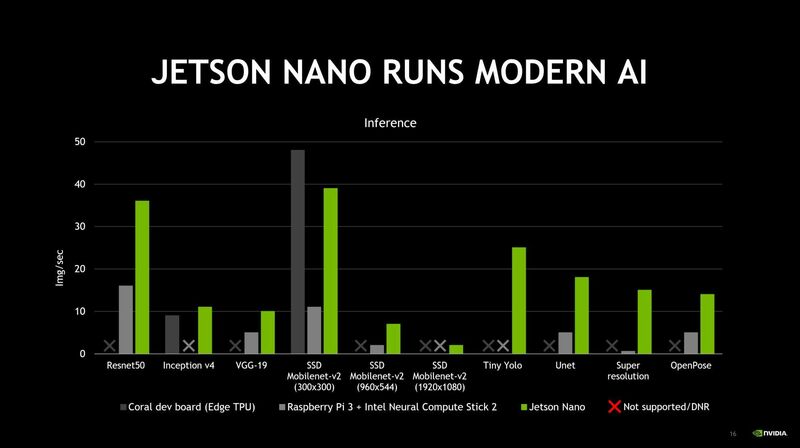 The Jetson Nano Developer Kit is a standalone version of the new Jetson Nano AI computer also announced today. As you’d expect from an Nvidia product, the GPU’s the secret sauce—a 128-core beast that looms large on the maker board. Based on the “Maxwell” GPU architecture that powered the company’s GeForce GTX 900-series graphics cards, it’s capable of 472 GFLOPS of FP16 performance, HEVC video encoding at either 4K30 or 3x 1080p30 resolution, and HEVC decoding at 4K60 or 8x 1080p30—meaning it can monitor several high-definition video inputs at once and process the images it sees in real time. This is a powerful GPU to hand to makers. It’s tamed by a massive black heatsink sitting atop the module. Nvidia fleshed out the board with a 1.43GHz quad-core ARM A57 processor, 4GB of 64-bit LPDDR4 memory, and gigabit ethernet. Storage is handled via a bring-your-own SD card, just like with the Raspberry Pi. Also like the Raspberry Pi, the Jetson Nano Developer Kit is loaded with hardware connections designed to expose the board’s smarts to the world. Nvidia equipped the board with three USB 2.0 ports, a USB 3.0 port, a MIPI-CSI camera connector, HDMI 2.0, DisplayPort 1.2, and I2S audio out, along with expansion options for a Wi-Fi card, a fan, and a UART header. You’ll also find a 40-pin GPIO header. Nvidia says the Jetson Nano Developer kit will support the Blinka library and thus many Adafruit peripherals. Instructions explaining how to configure the header to work with other add-on hardware can be found in the Jetson GPIO Python library. As with many other maker boards, the Jetson Nano Developer kit doesn’t ship with a power supply, so you’ll need to bring your own standard 5V/2A-3.5A micro-USB power charger. If you plan on running particularly intense benchmarks or workloads, Nvidia recommends using a 5V/4A DC power supply instead. The board can be configured to operate in either 5W or 10W mode depending on the intensity of your tasks. Of course, hardware is only half of the equation. That fancy GPU can’t do much without software to tell it what to do. Jetson supports Linux4Tegra, an operating system derived from Ubuntu 18.04. It also supports popular deep learning software frameworks like TensorFlow, PyTorch, Caffe, Keras, and MxNet across a wide variety of models. The board’s hefty hardware help it run a wide range of AI frameworks and neural networks much faster than competing solutions, according to Nvidia, including a Raspberry Pi equipped with Intel’s Compute Stick. The Jetson Nano Developer Kit also supports Jetpack, Nvidia’s regularly updated software development kit that runs across the entire Jetson embedded products portfolio. Nvidia has been developing Jetpack for over three years at this point. The company also created a pair of tutorials dubbed “Hello AI World” and “Two Days to a Demo” that explain different inferencing and training approaches for makers who aren’t used to deep learning. 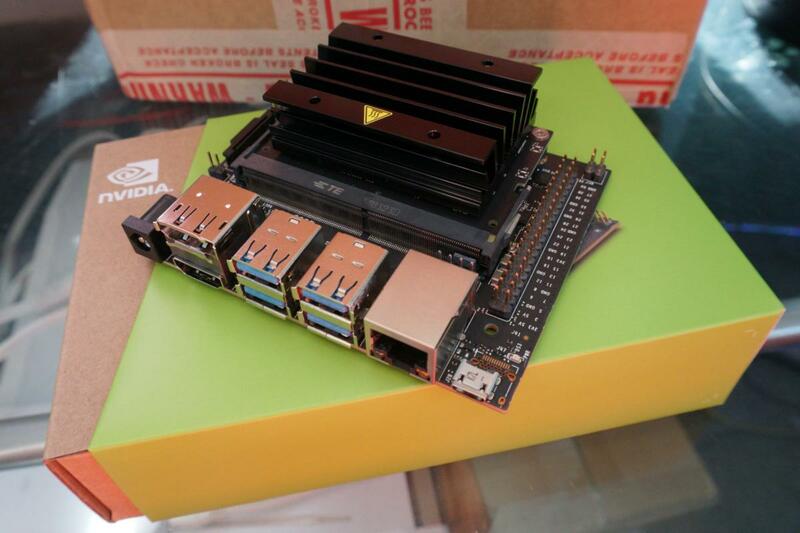 The JetBot project for Nvidia’s Jetson Nano Dev Kit. Sounds pretty nifty! Nvidia sent PCWorld a review unit to try out JetBot and the inferencing tutorials, but it arrived too late for us to test it before the announcement. We’re hoping to have a more extensive follow-up some point soon. 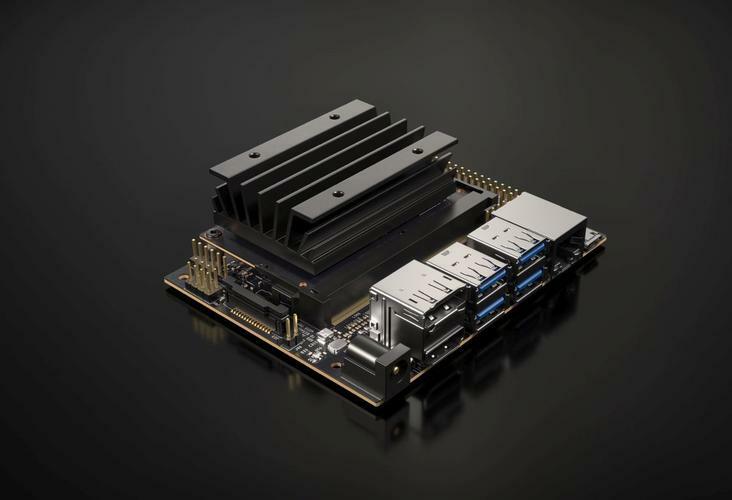 If you’re interested in dabbling in deep learning projects, the Jetson Nano Developer Kit goes on sale today. Curious makers should visit the Jetson developer site for all the info you need to get started with Nvidia’s tiny, affordable AI board.